Extensive work in psychology and neuroscience reveals that individuals are born with moral intuitions, and this volume capitalizes on that recent insight to provide a new perspective on how to lead organizational ethics. 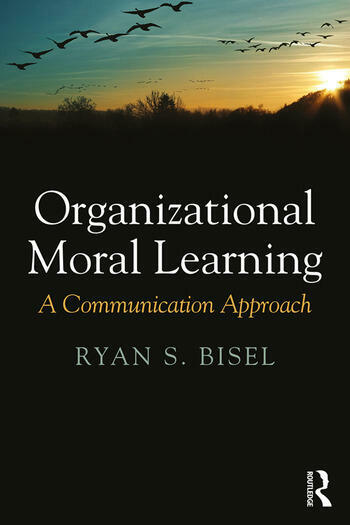 Organizational Moral Learning presents communication-based recommendations for managers and leaders to encourage authentic moral dialogue at work so that these discussions can be used to update work practices vigilantly as organizations strive for ethical　excellence. Organizational ethics are crucial to individual, organizational, national, and even global well-being, and this work leads a revolution in thinking about how to manage organizational ethics. Written accessibly for students and practitioners alike, this book provides a leading-edge look at organizational ethics based on science and research applicable to a worldwide audience. Ryan S. Bisel is an Associate Professor of Organizational Communication at the University of Oklahoma. His research interests focus primarily on issues surrounding leadership communication, organizational culture, and behavioral ethics.